Great ideas for Youth Groups, Birthday Parties and Team Windups! Our Teen Birthday Parties keep the fun on the lanes! 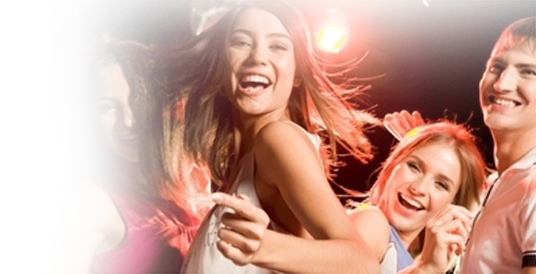 If you’re looking for somewhere in Winnipeg to celebrate a Teen Party, look no further! You and your guests can interact through Twitter and Facebook with our live online DJ’s! Have a dance party right on the lanes! Just add some awesome Cosmic Glow bowling and our delicious pizza to keep any teens happy. The best part is that all you need to bring is your birthday cake. We take care of everything else! Take a look at the awesome extras below that you can add to your party. Ask for our Crazy Bowling Games to make the party even more fun!